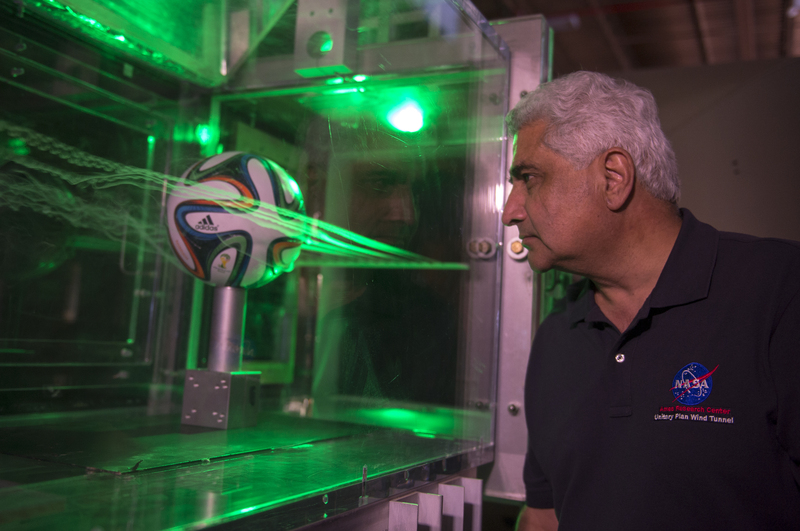 You’ve seen models of CCP-partner spacecraft designs put through their aerodynamic paces in a wind tunnel already, but have you wondered what would happen if a soccer ball were treated to the same thing? For one thing, soccer balls and any spherical object don’t necessarily behave as some might expect. 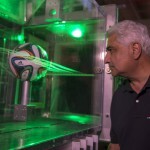 Smooth spheres fly very unpredictably, it turns out – something that surprised World Cup goalies in 2010 when the smooth-surfaced ball slipped through the air around their outstretched hands. In this video and feature from NASA’s Ames Research Center in California, Rabi Mehta, chief of the Experimental Aero-Physics Branch there, describes what makes this year’s version different. For more about NASA and the World Cup, go to nasa.gov/worldcup.